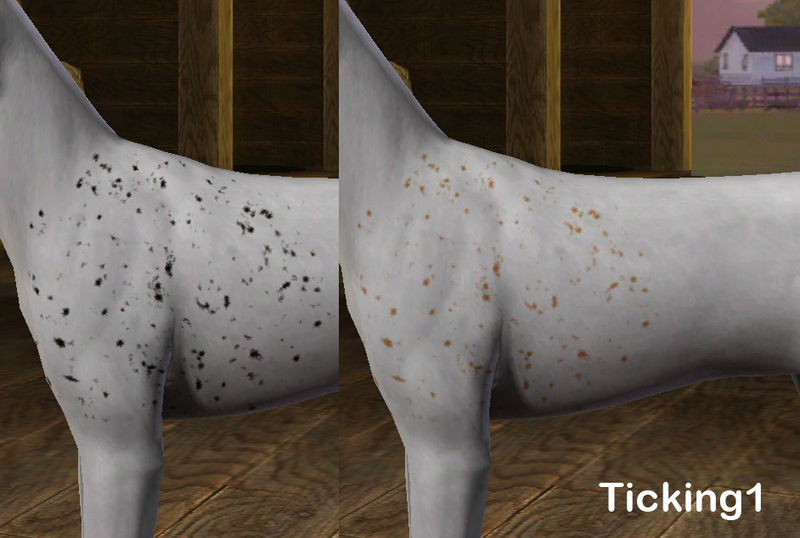 Tired of the pitiful selection of spots that EA has given us? 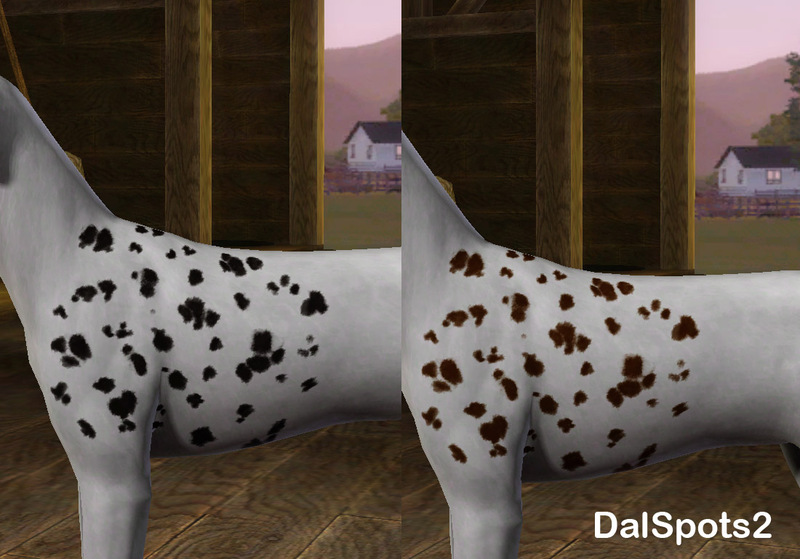 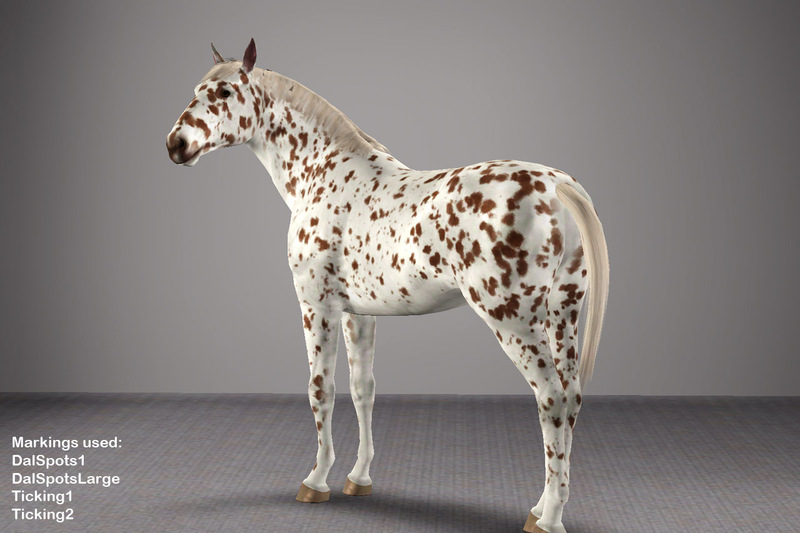 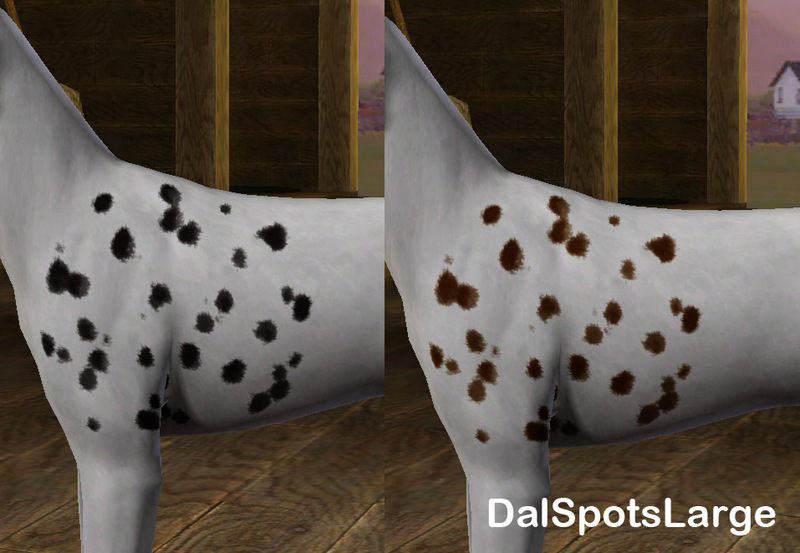 Give your spotted, ticked and roan pets a fresh new look! 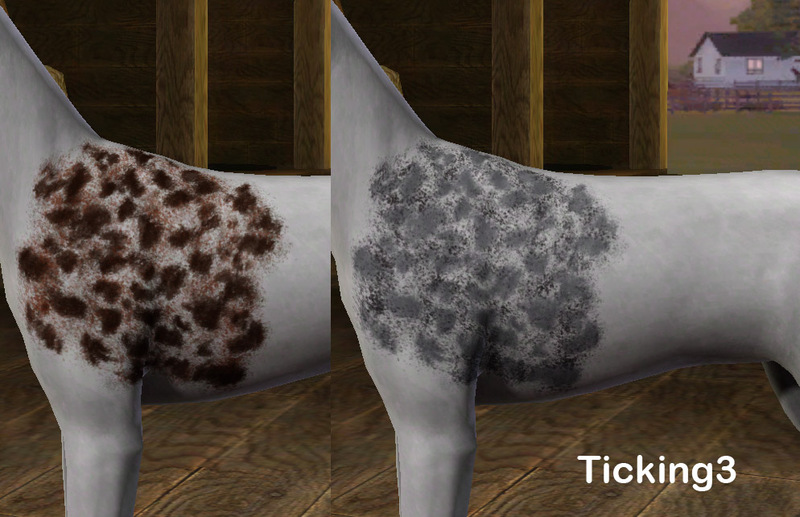 These are seven all new pet markings, complete with custom thumbnail. 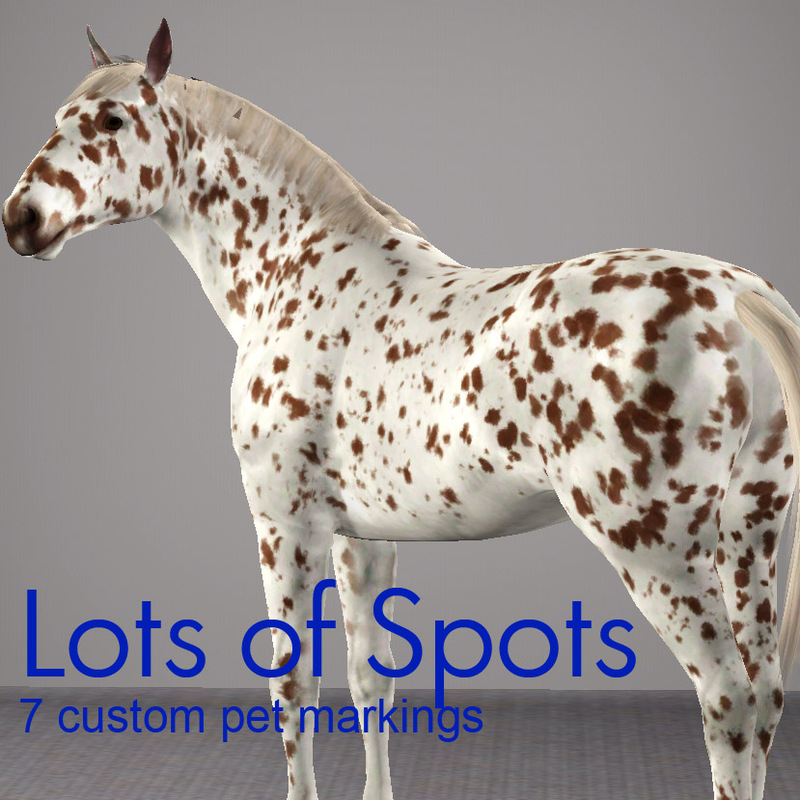 All markings are available for cats, dogs, and horses, so no-one feels left out. 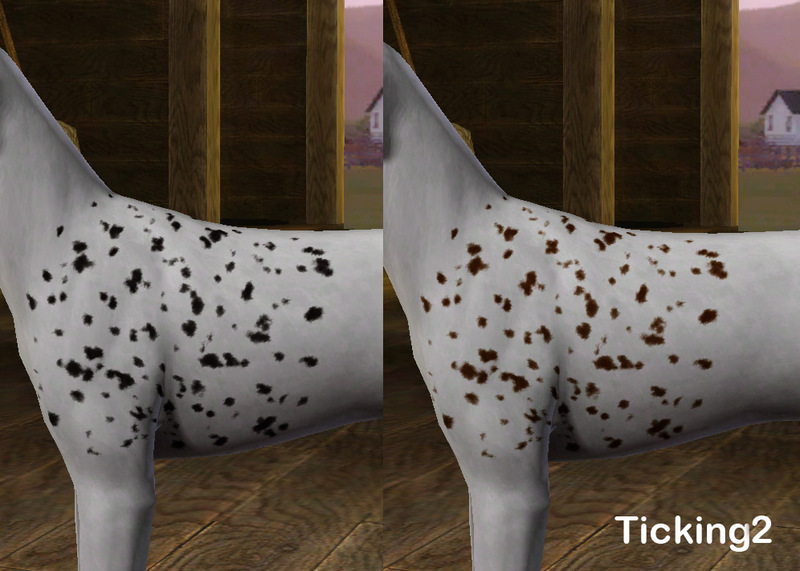 Markings have one recolourable channel, except for Ticking3, which has two channels. 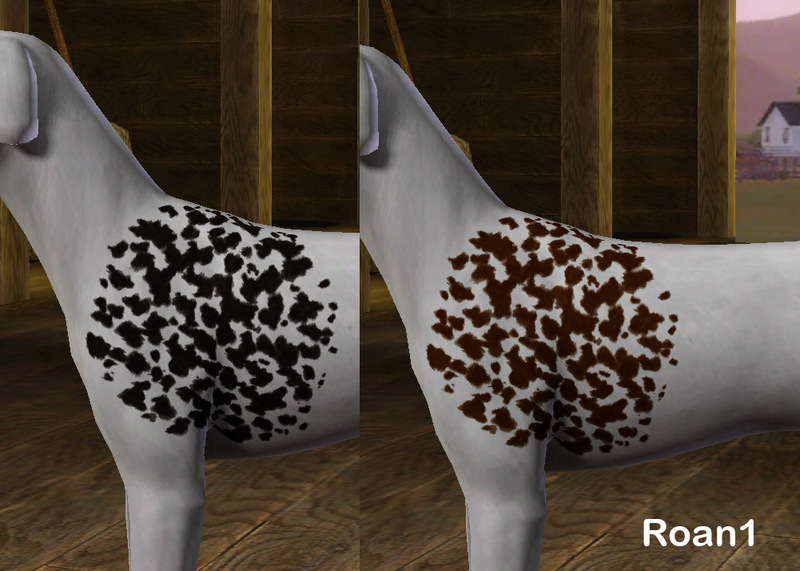 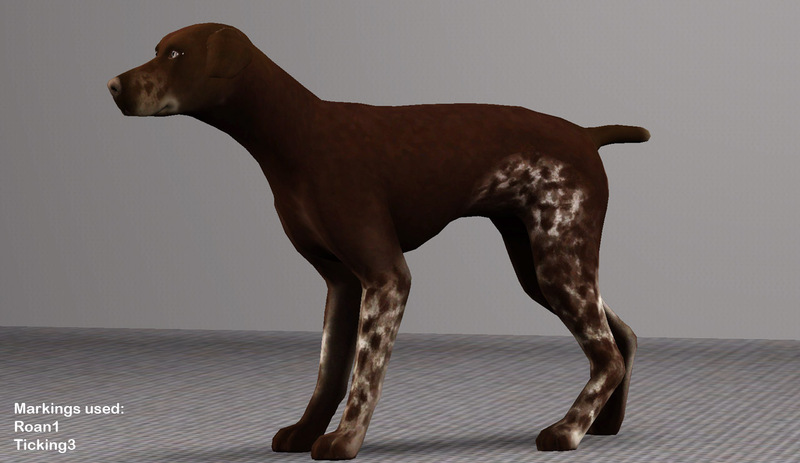 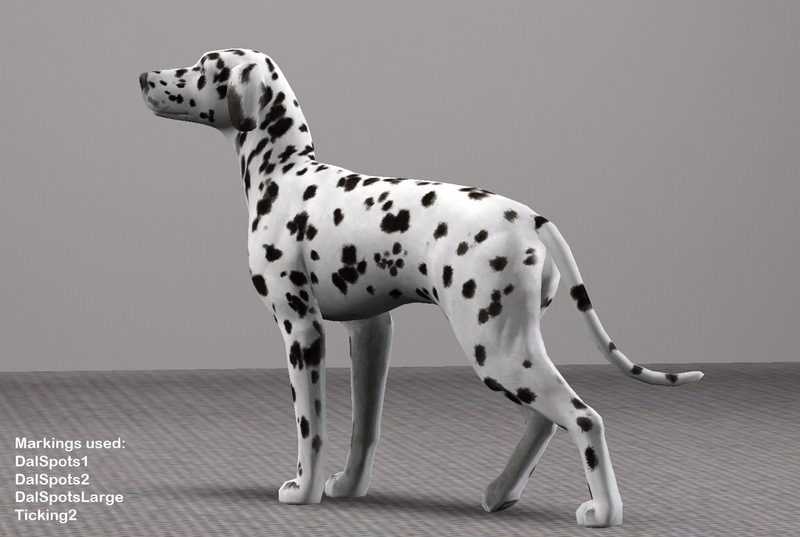 Head over to my newly created Custom Pet Markings Tutorial.